Model 97420 of the Magiquarium is by far the most exciting in my opinion. The reason why is it has the mysterious mystery light that kids just love. 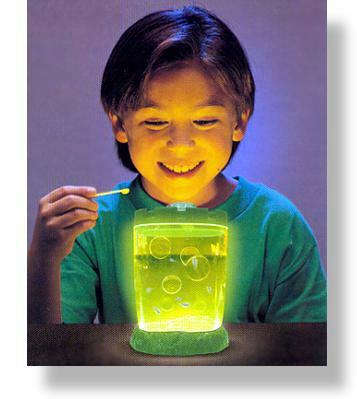 There is no need for batteries as the Sea Monkeys are phototaxic so they will glow just like lightening bugs. The Magiquarium Sea Monkey kit includes all of the goodies you would expect of any of the brine shrimp habitats we offer.